Does email marketing still work? You’re asking the wrong question. On an average people sent 250 billion emails per day. The right question to ask is – what is the best day of the week to send emails? 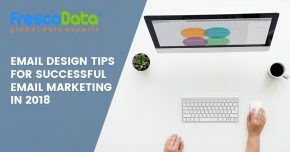 Unless you want your audience to forget who you are, we recommend you start using the most significant email marketing data can help you kickstart your sales. We’ve gathered the most important email marketing stats of 2018 to get your thinking about your marketing strategy for 2018!